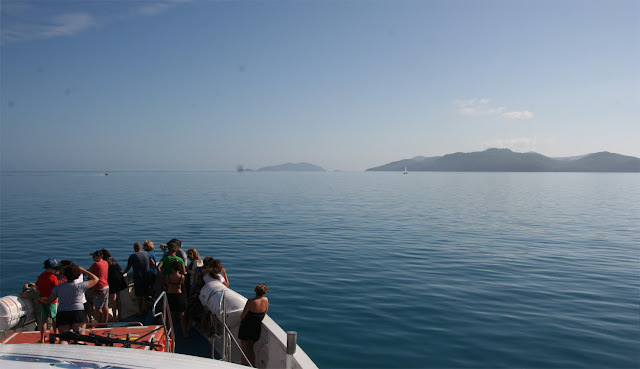 The Whitsundays, oh what a magnificent part of the world. While we are staying at Airlie Beach for a while we just had to get out into the islands. So yesterday was the day to cruise out amongst the most amazing scenery anyone could hope to see. The transfer bus picked us up at 7.15am at the front of the caravan park for our 5 minute transfer to Shute Harbour to board our vessel MV2001. 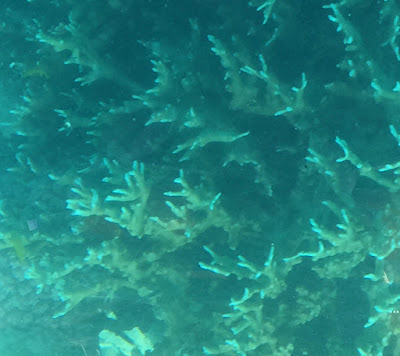 After heading out through Whitsunday Passage we stopped just off Black Island, also known as Bali Hai' mainly for the tourists as the name Black Island wasn't attractive. At Black Island we were given the option of doing some snorkelling just off the beach or spending some time in the glass bottom boat. Even though I do love snorkelling I decided to go in the boat with Shane. Between you and me I wish I had had gone with the snorkelling, but it was still beautiful gliding over the various types of coral and exotic tropical fish. Then it was back to MV2001 for a lovely cold meat and salad buffet. 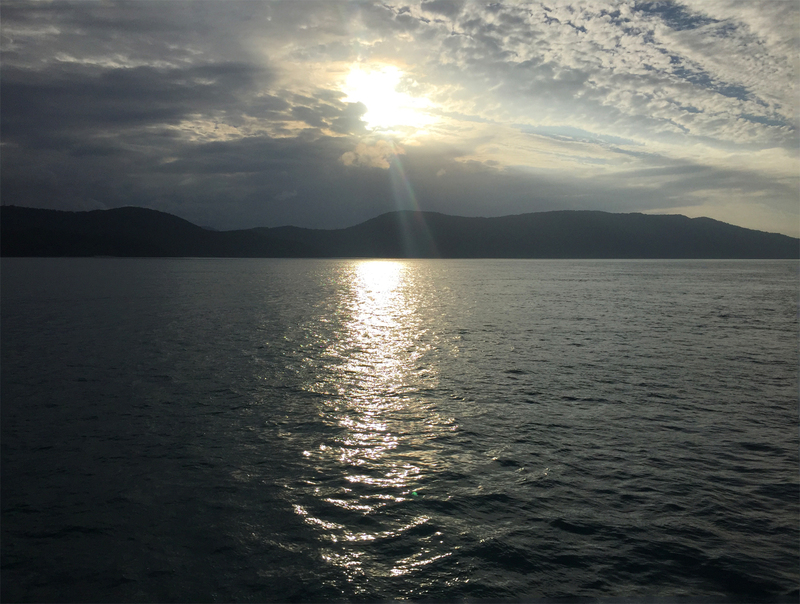 With that we then headed to Whitsunday Island for a lovely walk through the National Park and onto the most amazing view I have ever seen in my life. As I came along the path over a small rise the view that was in front of me literally took my breath away. 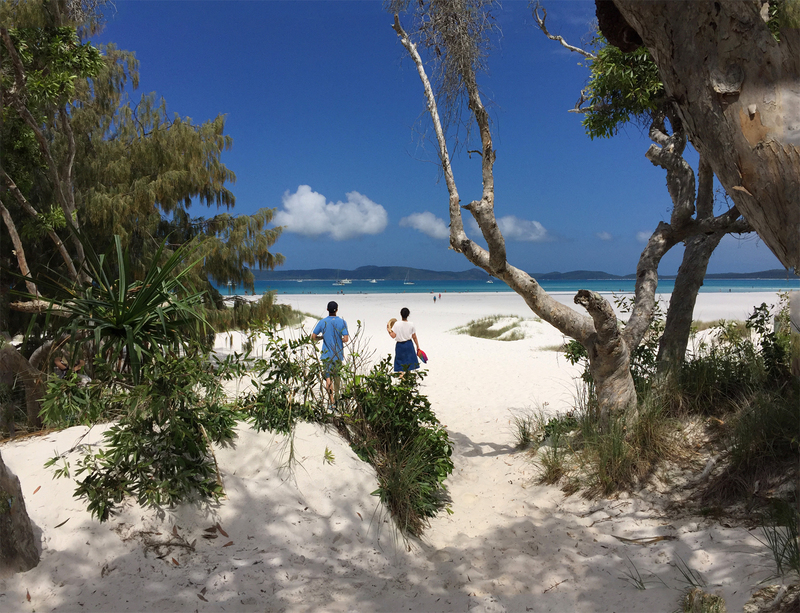 The lookout had an amazing view over the famous Whitehaven Beach, which was voted the best beach in the world - yes the world for 2015. The colour of the water was various shades from the most intense to a mellow shade of turquoise and the sand was the whitest of white I have ever seen. Then it was back to the boat, but there was still something I had to do. Even though the walk was quite tiring I just had to turn right and head down to Whitehaven Beach to walk in that stunning sand and maybe go in the water. 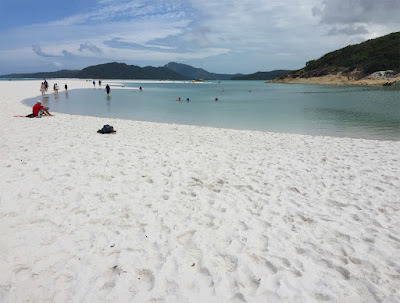 The walk to the beach was only 50 metres and then once again my breath was taken away with the sight of the white sand and beyond it the luminescent, turquoise water. 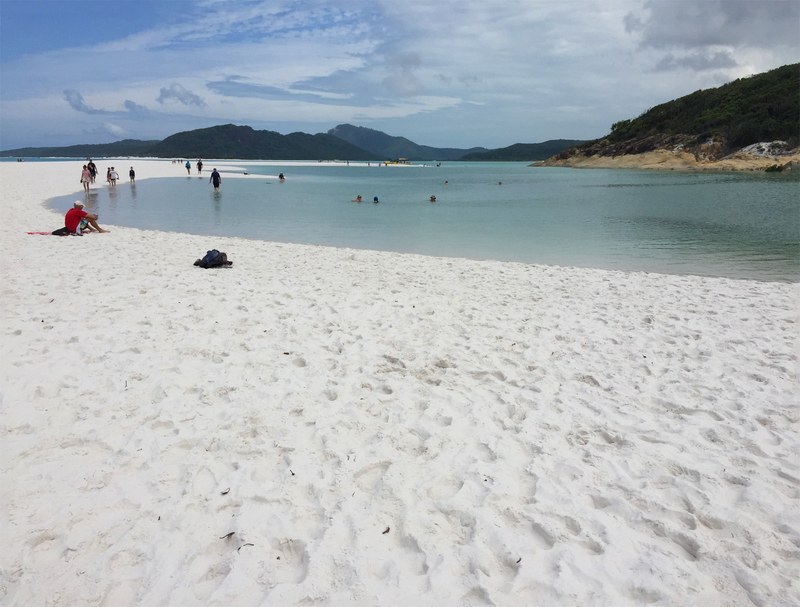 The sand is actually 98% Silica and it is wonderful for exfoliating your skin and cleaning your jewellery. I did rub it over my skin but didn't have any jewellery on to clean. As I thought I couldn't resist it and had to get in the water. It was nice and warm and I could have stayed there much longer than I did but I had to get back to the other side of the island to get the transfer dingy back to the MV2001. Once back on board we we treated to afternoon tea which consisted of cheese, various cabana types of meat, dips, lots of fruit and cakes and tea and coffee. I must say the food on our three island cruise was pretty good. 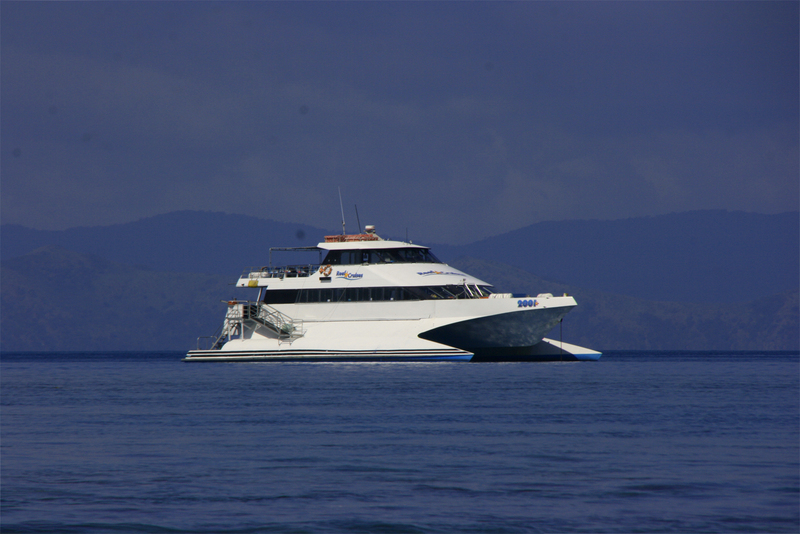 Then it was off to Daydream Island for an 1 1/2 hour stop to do whatever. We had met a nice couple on the cruise so we all decided to sit by the pool and have a drink. 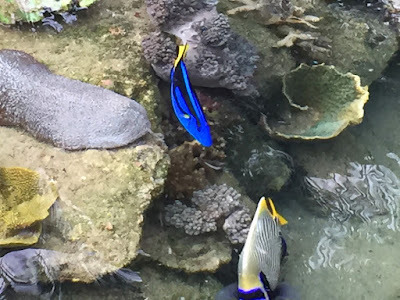 Daydream Island Resort has a living reef pool meandering throughout the grounds. 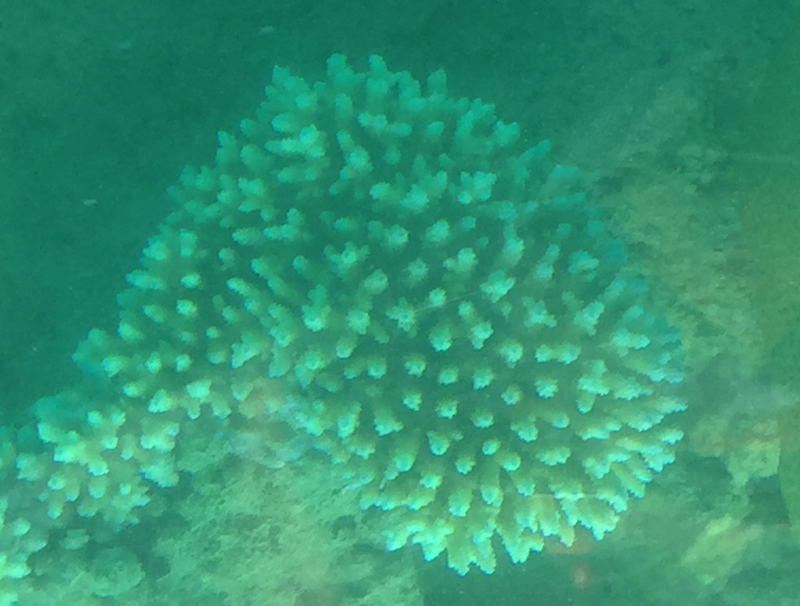 The pool had a shark, a shovel nose shark, several stingrays, lots of very ugly sea cucumbers and numerous types of tropical fish. Even though we were pretty tired after our big day we were both so glad we did it as it was an amazing day.